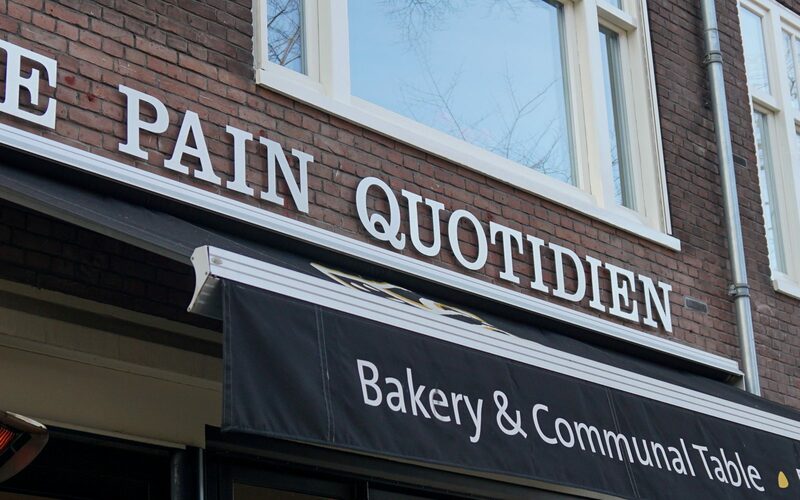 The Le Pain Quotidien store in the Beethovenstraat is perhaps one of the smallest of the Le Pain Quotidien family, but it’s small communal table and organic bakery has certainly turned it into a lovely and cosy establishment. The guests, mainly locals and tourists, visit to enjoy organic ‘tartines’ and salads in their lunch breaks, or pop in for breakfast with a basket full of fresh traditionally baked bread and croissants, surrounded by a range of our delicious chocolate spreads and jams. The terrace quickly fills up when the weather permits and everyone can enjoy the delicious dishes served up by Le Pain Quotidien outside.